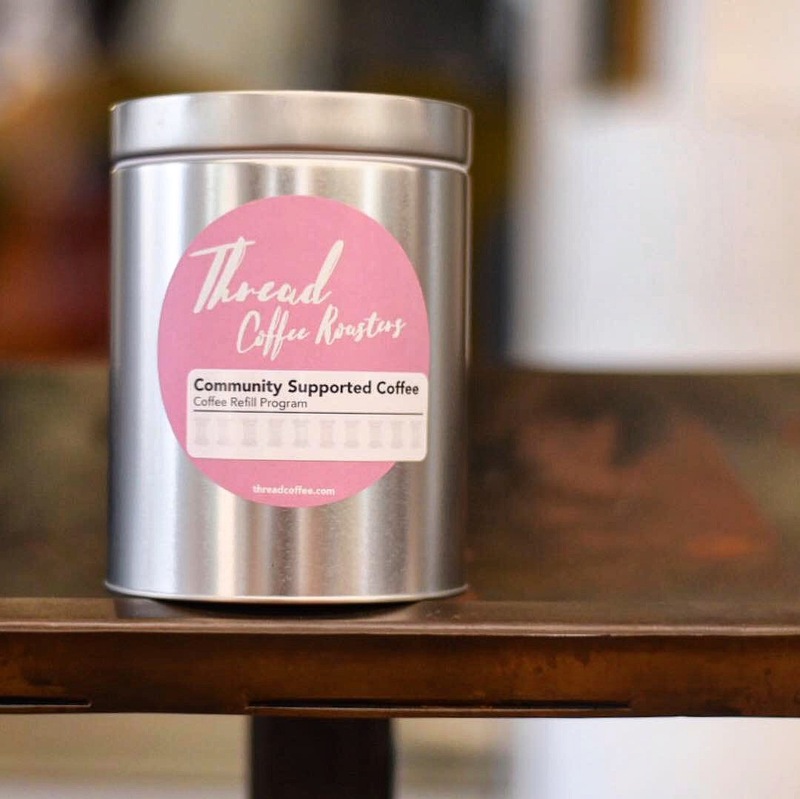 THREAD COFFEE Community Supported Coffee - Refillable Tin! Save money with our CSC program! Our CSC program is a great way to save money, support a local women-owner company, and have access to a wide variety of fresh-roasted, ethically traded, delicious coffee. What a great gift! If purchased online, just print out receipt and bring it into the store and we'll give you your tin and your first fill of coffee beans.